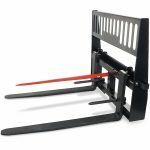 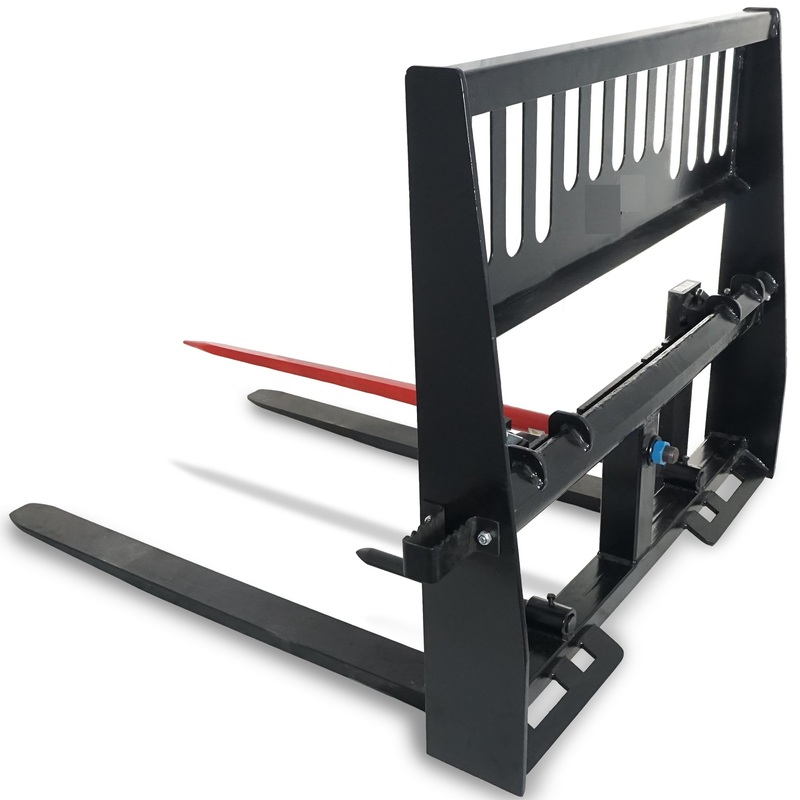 This pro duty pallet fork and hay spear attachment from Titan is one of the toughest in it’s class. 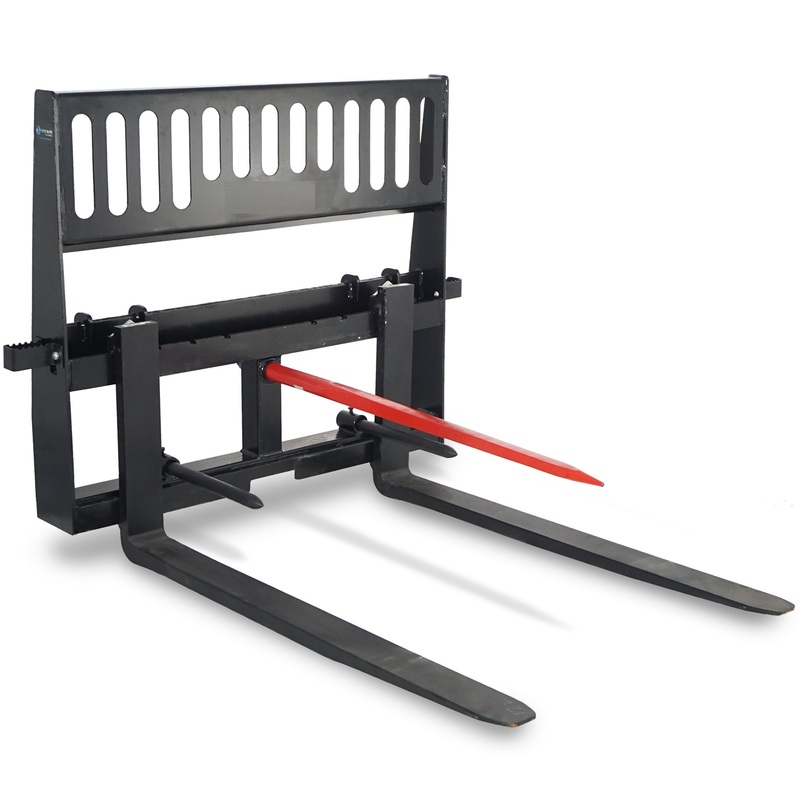 CNC cut and welded for accurate fit, it is designed to withstand the most rigorous work. 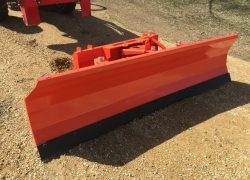 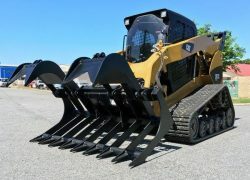 The angled quick tach connection makes loader hook up easy and allows the operator to tilt the forks upward to prevent loads sliding off. 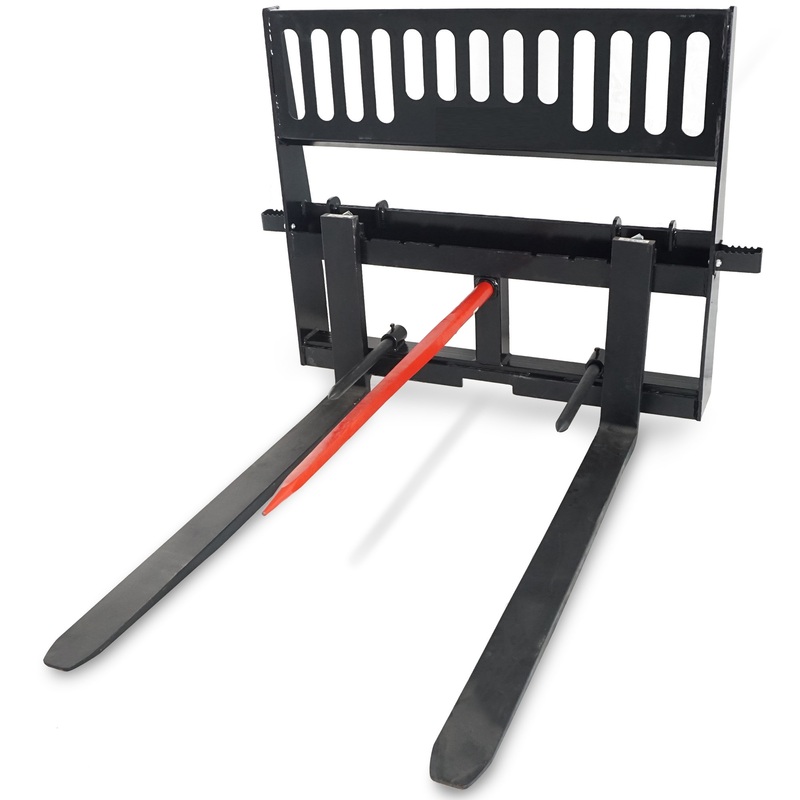 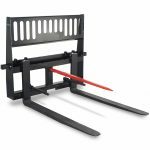 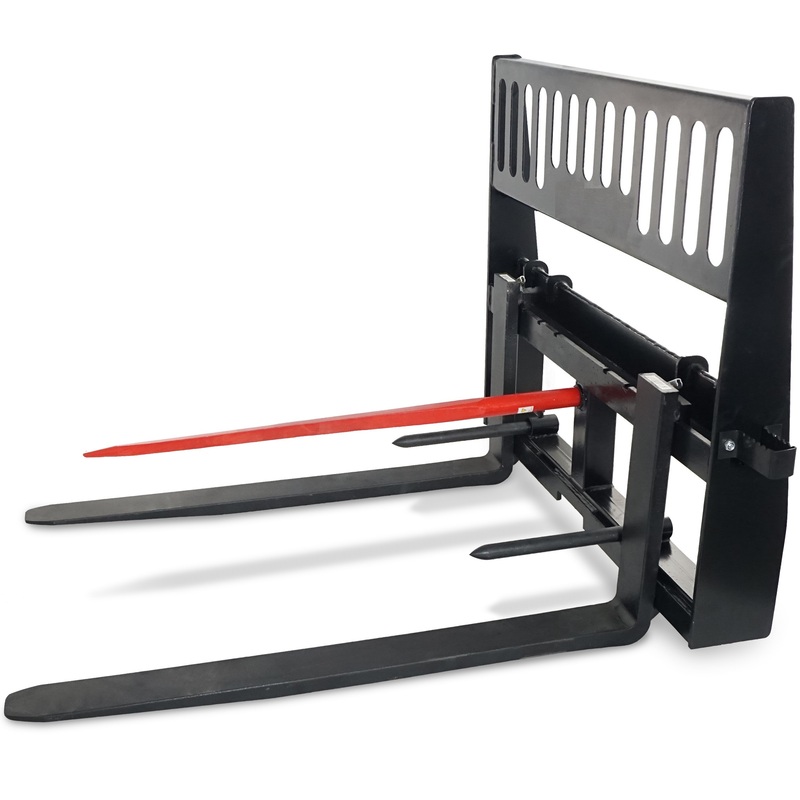 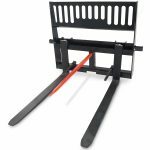 The laser cut and branded headache rack is made from a single sheet of steel for added strength but has plenty of clearance for excellent visibility. 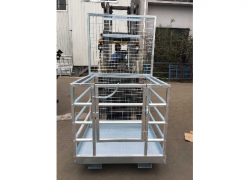 – Integrated Steps for easy machine entry installs on left and right side.